They just can’t compete? Why the hell not? They can’t sell their e-books from their own websites? Why is that? Or at barnesandnoble.com? Powells.com? Ebooks.com? The ebook market is, as the antitrust lawyers say, as “contestable” a market as one can imagine, with virtually no barriers to entry. Sell your stuff there, at whatever price you want to sell it at. If you want Amazon to sell your stuff, you have to take their terms. It’s not “exacting tribute”! It’s “business as usual.” If you don’t like it, go elsewhere. Of course, convincing people that Jeff Bezos is the devil and Amazon is an evil empire is one way of competing; I don’t find it a very compelling approach, though. As I mentioned in another post, the one time I wanted to buy a Hachette book on Amazon lately, it took me three clicks to find it at Barnes & Noble with a 20% discount. No monopoly here. 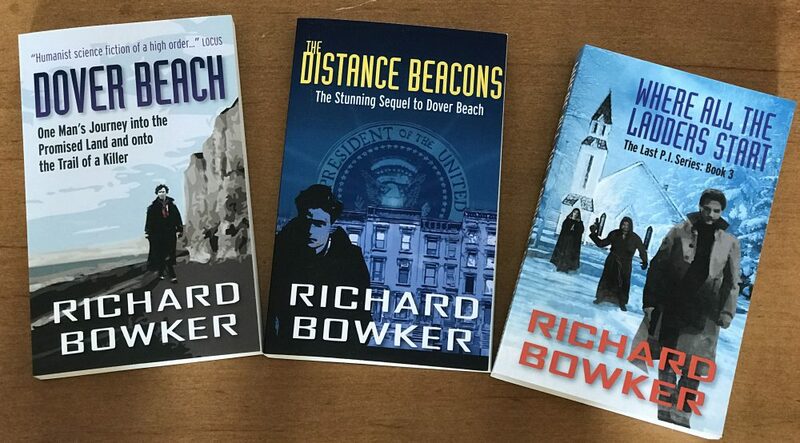 This entry was posted in Ebooks, Writing and tagged Amazon, books, fiction, novels, publishing, writing by Richard Bowker. Bookmark the permalink. Krugman has checked in on Amazon and not surprisingly he’s against it. His major point is that people buy books because of buzz and word of mouth. And Amazon has the power to kill that buzz. Amazon as buzz killer? I find the argument preposterous. It’s true enough that sales are advanced by favorable reviews, appearances on talk shows and best seller lists and even by plugs in Krugman’s column. How exactly does Amazom destroy all that? His one example doesn’t do much to advance his case. He points to two Hachette books, one by Paul Ryan, the other a profile of the Koch brothers. The Ryan book has free two day delivery; the Koch book ships in two to three weeks. The Horror! “As attorneys and law school professors who know a great deal more about antitrust law than Mr. Krugman does have repeatedly explained, Amazon is not even close to being a monopsony. I suspect the real reason the literati hate Amazon is one they will never admit — economic self interest. To the extent Amazon gets more of the pie, the publishers will be weakened. And that might adversely affect future advances. The public doesn’t care about author advances and I suspect most authors don’t either. But the big guns sure do. The current system has worked for them; therefore, the current system is good. It’s clear that traditional publishers perform valuable services, among which is giving out advances so that worthy authors can write their books. But they also give out advances to Snooki. And, of course, lots of worthy authors don’t get those advances, due to luck or timing or perceived lack of marketability.